The mission of the ATI is to provide individuals with disabilities access to technology, which is available to all GMU employees and students, so that they have the tools needed to be as independent and successful as possible in GMU's academic environment. CompuWrite is a computer writing camp for students with learning disabilities in grades 3 through 6. The primary focus of the camp is to work with students having difficulty in the writing process. The teacher/student ratio is typically 1:2. Students work on the five stages of writing by combining writing strategies with technology tools. The Mason LIFE (Learning Into Future Environments) Program is a post secondary program for young adults with intellectual disabilities who desire a college-like experience in a supportive environment. This is a joint project between the KIHd and the Parent Educational Advocacy Training Center (PEATC). The Multicultural Early Childhood Team Training (MECTT) is a federally funded project that prepares parent and professional teams to improve services to diverse families of young children with special needs--infusing cultural competence in early childhood programs. 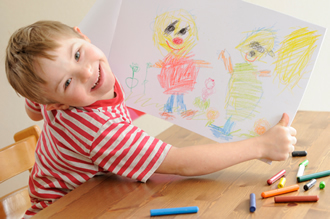 The mission of T/TAC is to improve educational opportunities and contribute to the success of children and youth with disabilities (birth - 22 years). The T/TAC Centers provide quality training and technical assistance in response to local, regional, and state needs. T/TAC services strive to increase the capacity of school personnel, service providers, and families to meet the needs of children and youth. Please feel free to visit the different areas of our site to see if T/TAC can be of assistance to you and your needs. 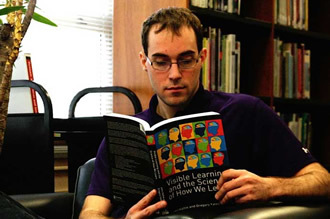 The Virginia Accessible Instructional Materials Center (AIM-VA), part of the Helen A. Kellar Institute for Human disAbilities at George Mason University, will produce and deliver accessible instructional materials for Local Educational Agencies (LEAs) in Virginia who have students with print disabilities. The AIM-VA will also provide training and technical assistance to LEAs who will order and use these accessible instructional materials. The AIM-VA will also assist the Virginia Department of Education (VDOE) to implement the National Instructional Materials Accessibility Standards (NIMAS) regulations under the Individuals with Disabilities Education Act (IDEA). The Virginia Assistive Technology System North (VATS North) is a regional site for the Virginia Assistive Technology System(VATS), which is a statewide systems change project committed to improving the quality of life for all Virginians by increasing awareness and accessibility of assistive technology. VATS North also has the responsibility of being an ATLFA regional loan application center under a grant award to the Department of Rehabilitative Services/Virginia Assistive Technology System (DRS/VATS) and ATLFA from the US Department of Education, NIDRR. The mission of Virginia's Training and Technical Assistance Centers (T/TAC) is to improve educational opportunities and contribute to the success of children and youth with disabilities (birth - 22 years). The Centers provide quality training and technical assistance in response to local, regional, and state needs. T/TAC services increase the capacity of schools, school personnel, service providers, and families to meet the needs of children and youth. Applied Behavior Analysis is a discipline devoted to understanding human behavior and to bringing about improvements in behavior and quality of life that are significant to the individuals involved. Seeking Applications for a federally funded doctoral grant. The Ph.D. program consists of: Major in Special Education; Minor in newly developed cognate on Special Education Leadership. 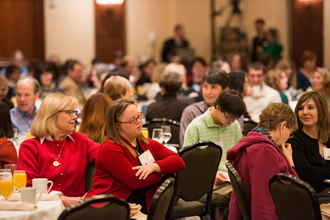 George Mason University (GMU) is pleased to offer fellowship funding for qualified applicants to a new, more intensive and comprehensive cohort doctoral program in high incidence disabilities to prepare individuals for special education positions in higher education. The purpose of the program is to increase the number of teachers in the state of Virginia with endorsement in severe disabilities (SD) through a statewide distance education based program. Every semester, the Consortium awards a limited number of tuition waivers to applicants who meet the requirements. First preference is given to school personnel currently working with students with severe disabilities in all geographic areas of Virginia. Other applicants will also be considered. The VI Consortium is made up of five universities: George Mason University, James Madison University, Norfolk State University, Old Dominion University and Radford University. Its primary goal is to prepare teachers to be highly skilled at working with students with visual impairments and blindness. Adapted Captions Through Interactive Video (ACTIV) project is aimed to develop an innovative technology-based approach based on the principles of universal design for learning that enables access and participation of students with various disabilities in appropriate challenging academic curriculum. This technology will allow enhancing existing content-based videos in any subject area with adapted and interactive features such as regular text, highlighted text, and/or picture-symbol captioning; verbal and visual cuing; interactive hyperlinks in order to search the video for answers; and built-in testing activities in various formats. The goal of the DEVISE project is to design, develop, and evaluate an immersive multi-sensory virtual learning environment that addresses the foundations of physics instruction for students with learning disabilities. This project investigates teacher usage of the Kellar Instructional Handheld Data (KIHd) System in a metropolitan school where discrete trail teaching is employed with students on the Autism spectrum. A mixed methodology will be implemented for a two year period to ascertain information in three main areas: data driven decisions, teacher planning, and technology adoption. The first component will test the effectiveness of how teachers are making data driven decision and, given different parameters, will determine if those decisions remain constant. The second component will look at teacher use of planning and will provide insight to other activities that were previously prohibited due to a lack of time. The third component will evaluate teachers' perceptions about a one touch data collection system in regard to technology adoption. 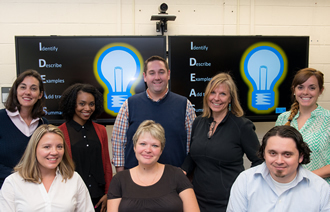 The study is USDOE Stepping Stones of Technology Grant. The Literacy Access Online site is being developed to help facilitators (parents, tutors, teachers, and other interested individuals) work with children who are having difficulties becoming good readers. This is a collaborative project between the Helen A. Kellar Institute for Human disAbilities, George Mason University, Fairfax, Virginia and the Parent Educational Advocacy Training Center, Springfield, Virginia. The project is in the third year of development and is funded by a Steppingstones to Technology grant from the U.S. Department of Education. The goal of LiteracyAccess Online is to provide you (or a facilitator) and your child with an enjoyable means of reading together to improve your skills as a facilitator and your child's skills as a good reader. LiteracyAccess Online provides opportunities to build enthusiasm for both learning to read and for teamwork. Peggy King-Sears is the Primary Investigator of one portion of a multi-partner grant focused on enhancing the math performance of middle school students. Dr. King-Sears is collaborating with colleagues from Johns Hopkins University to develop math materials, using Universal Design for Learning (UDL) principles, that math educators (including special educators) can use to teach students with and without math disabilities. Three math units are targeted for analysis, with UDL-enhanced materials eventually becoming one tool within a more comprehensive "Mathematics Improvement Toolkit." This three-year project, funded by the U.S. Department of Education, is titled: Enhancing Middle-Grades Mathematics Outcomes for All: Strengthening Mathematics Teaching and Learning for Special Populations. 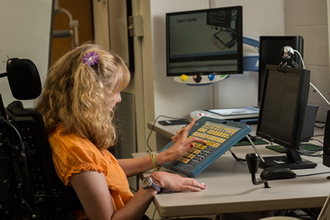 The National Assistive Technology Research Institute (NATRI) conducts assistive technology (AT) research, translates theory and research into AT practice, and provides resources for improving the delivery of AT services. The National Institute for Early Education Research supports early childhood education initiatives by providing objective, nonpartisan information based on research.